Bonfires make me think of my brother. Every summer, he gathers any available family member for a three-day celebration of fresh food, cool cocktails, and feisty company out in the woods under the trees. At the center of the campsite lies the fire pit, where people come together to sit, talk, laugh, confide, tease, and well, just be together. 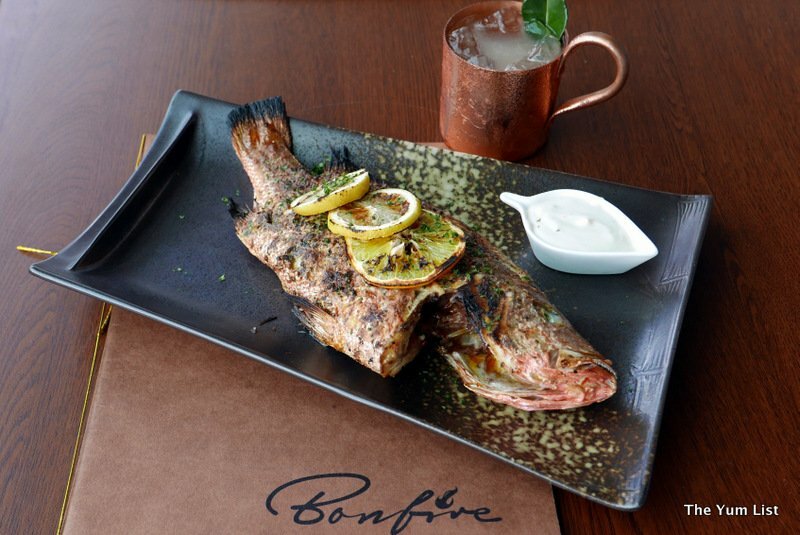 This sentiment is the spirit behind Starling Mall’s new Australian-themed restaurant Bonfire, aptly named for its attention to grilled food and a menu designed with an eye toward sharing and gathering. The cornerstone of the menu resides with the Bonfire Feast, mix-and-match barbecue platters to accommodate parties of any size. 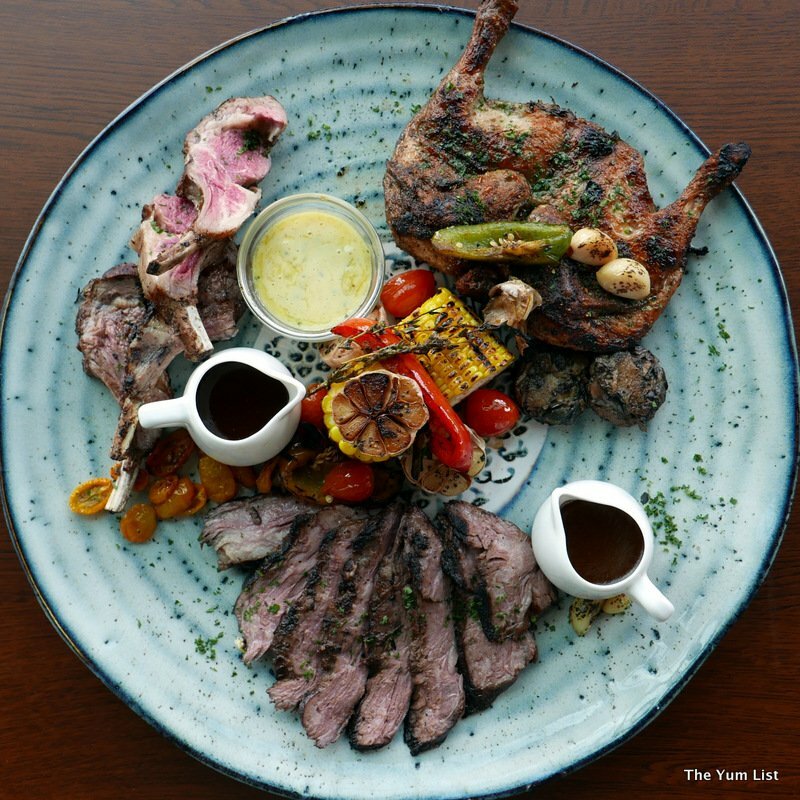 Guests can select from a number of pork-free proteins from skirt steak to snapper. Two meats run RM120++ (3 persons); three meats run RM160++ (4-5 persons). Fire-roasted vegetables and garlic round out the plate. 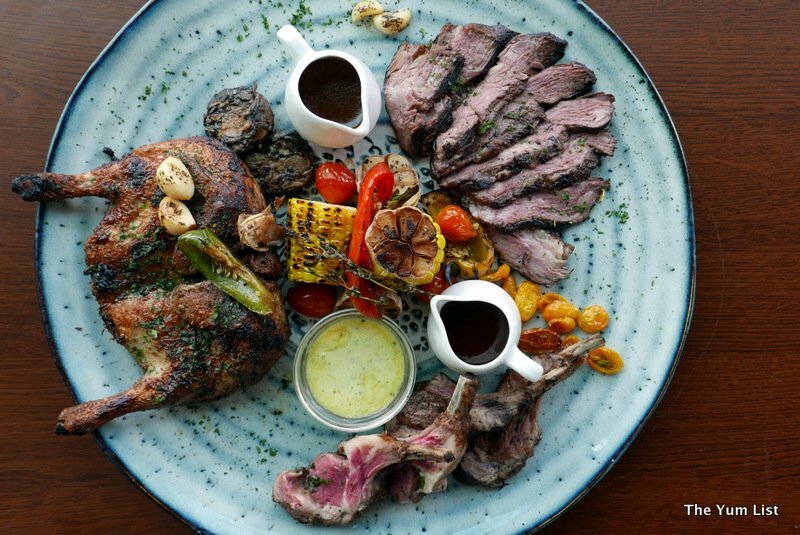 Our hosts recommended Wagu Skirt Steak, Baby Spring Chicken, and Rack of Lamb for ours. The beef arrived thin-sliced, with a piquant jus flavored with a hint of mustard. Bonfire’s Chef Shahrul uses a 24-hour Sous Vide preparation before finishing the steak on the grill to keep the meat moist and flavorful. A peppery rub encases the crispy Spring Chicken, served with a lemon and rosemary aioli. Also prepared Sous-Vide, the skin holds in all the juices for an exceptionally tasty bird. The Rack of Lamb is so tender it could be cut with a butter knife. Served with its own jus and a little seasoning, this was my favorite of the three. 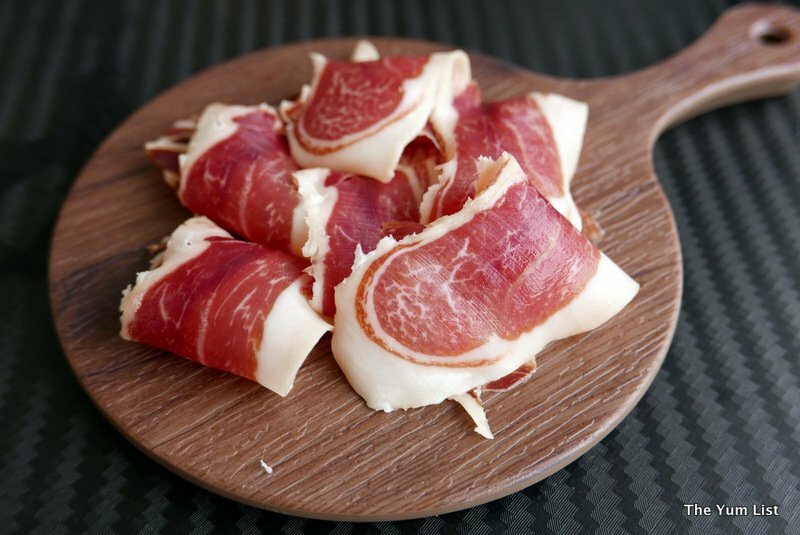 All meats are available a la carte as well. A staff favorite, the Whole Red Snapper (RM58) is another sharing option that delivers moist, delicately flavored fish. First marinated in chile, thai basil, and pepper, then flash fried to seal in the brine, the fish is then finished in the wood fire oven like the meats. Served with a dreamy coconut beurre blanc brightened by ginger, this is fusion cuisine at its best. Even the bread is charred on a grill. 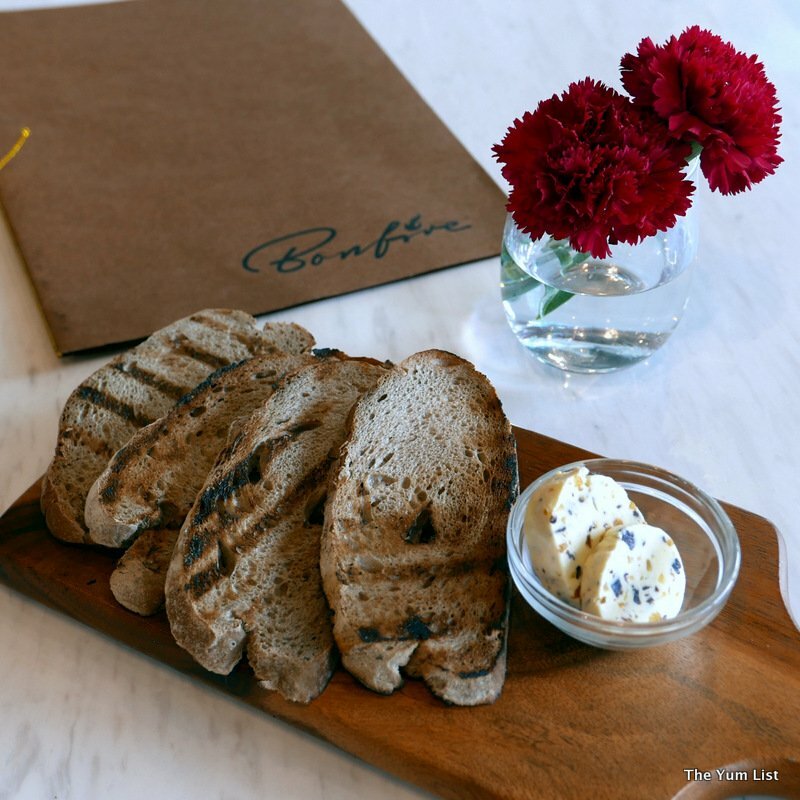 The Pan de Casa (RM8 or complimentary with meals) slices house-baked farmer’s bread, toasts it lightly, and serves it with dried fruit butter for an extra layer of sweetness. The Bonfire Feast can be complemented by a number of side dishes. 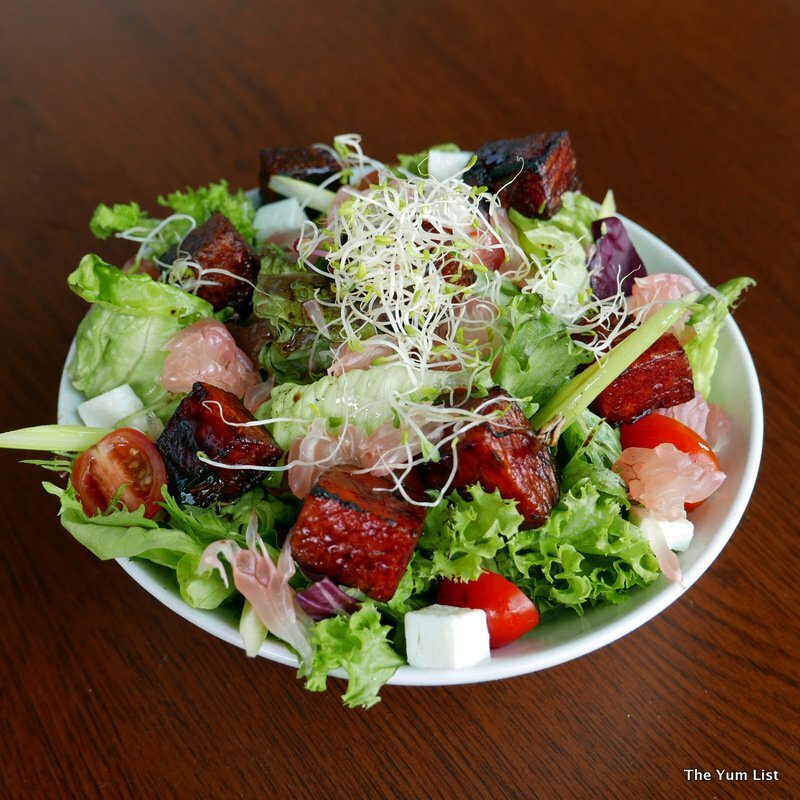 One colorful option is the Baked Watermelon and Pomelo Salad (RM15) served with the house vinaigrette. Cooked watermelon was a first for me; I like the blackened intensity of the caramelization, a nice contrast to the more subtle pomelo. 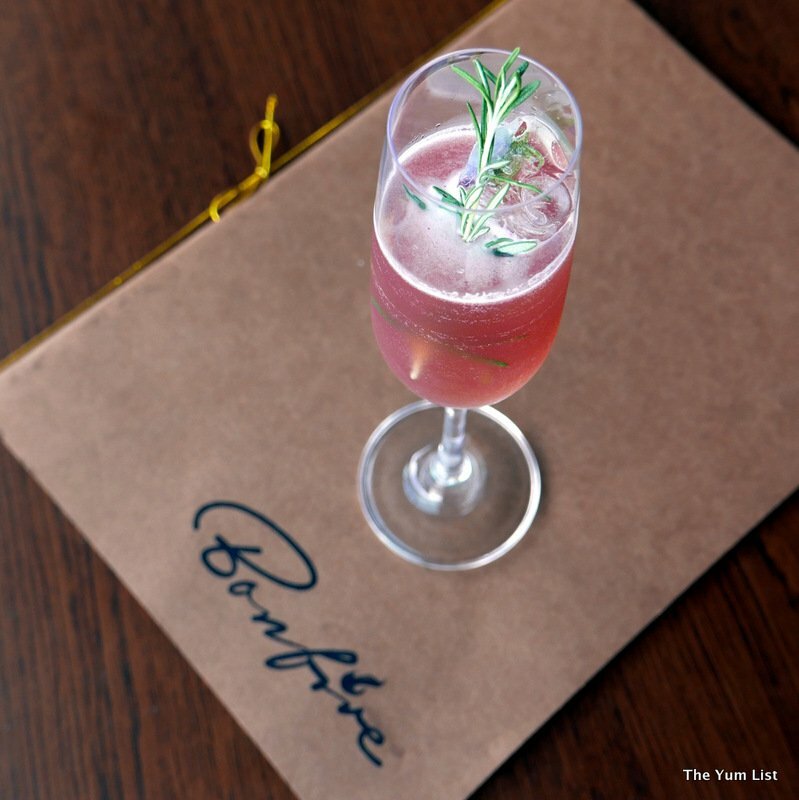 The beverage side of Bonfire, Bonvivant, livens the artful ambience, specializing in cocktails to pair with the menu. Kaffir #5 (RM30) is the suggested cocktail pairing for the fish and seafood mains. 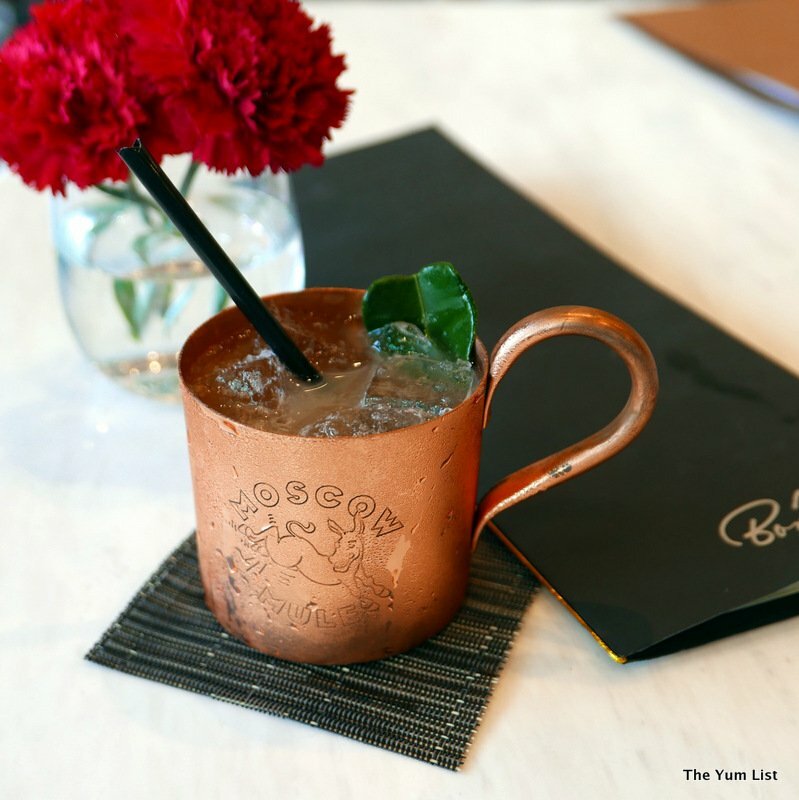 Here, a tincture of red chili and kaffir lime leaves are blended with ginger syrup and vodka, not unlike a Moscow Mule, but with more bite. 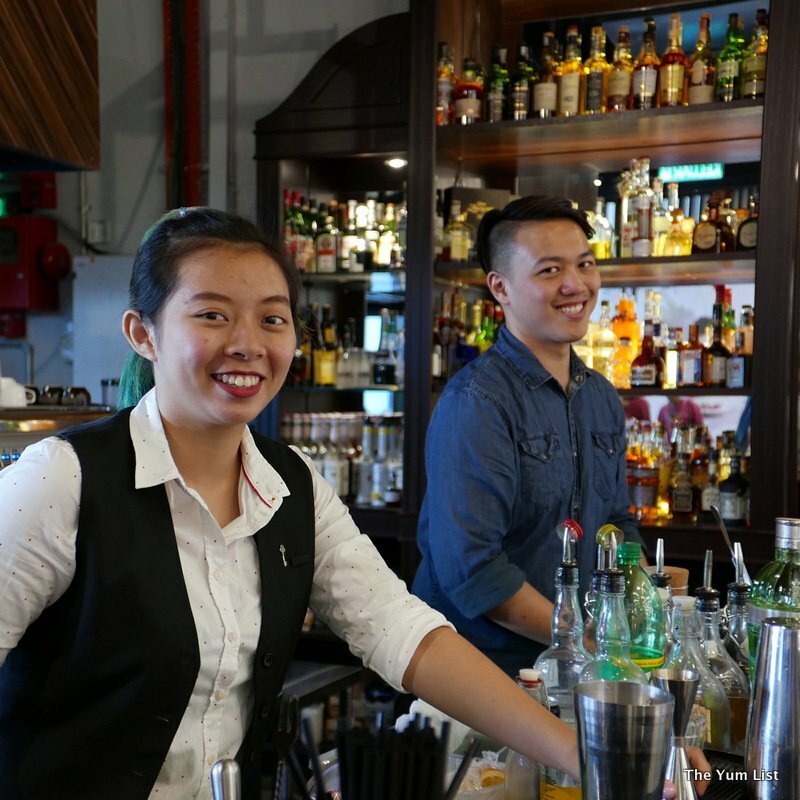 For the meat mains, Guns and Rosemary (RM30) is suggested, named for its big “guns” of bourbon and brandy. A little raspberry syrup and rosemary provide a sweet and aromatic softening of the booze, a nice complement to the meat. 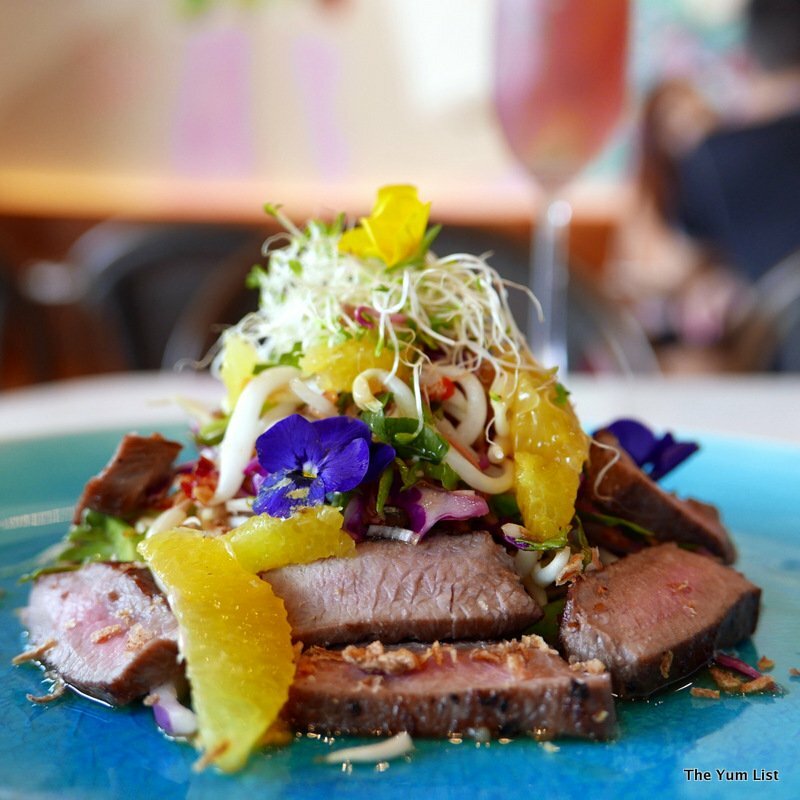 Friends with greater appetites can begin the meal with starters like the Smoked Lamb Tenderloin (RM25). This crunchy kerabu tosses bean sprouts, red cabbage, paku-pakis, 4-angle beans and a little chile with a fresh calamansi dressing for a fresh, well-balanced salad. More cocktail suggestions adorn this part of the menu. 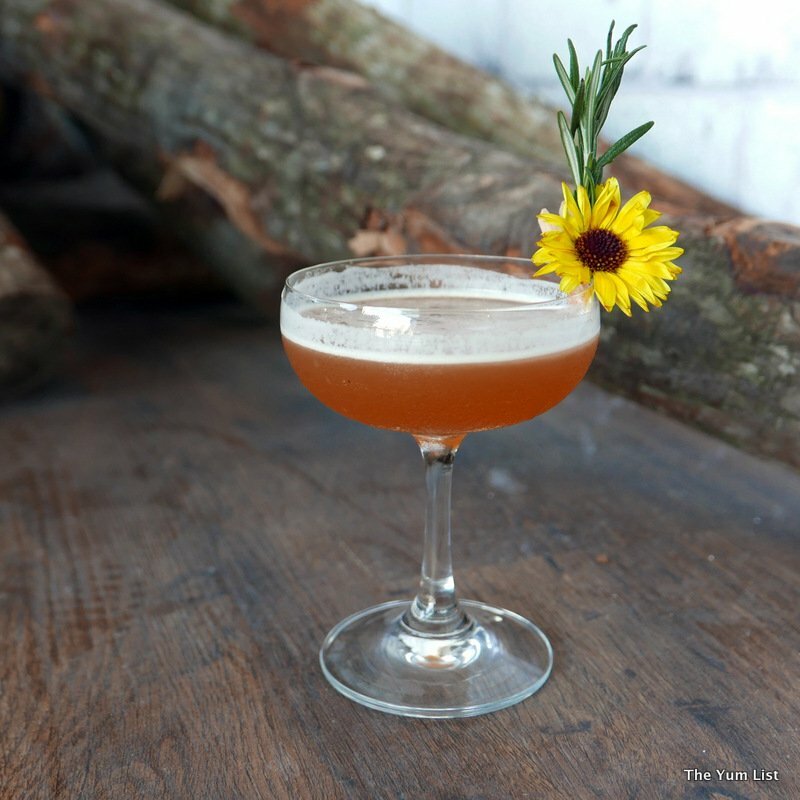 Southside Story (RM25) is a shaken mix of gin, rosemary, mint, lime, and pomegranate syrup. Served in a champagne flute to capture the aroma of rosemary and herbs, this refreshing drink provides good balance to the meat items. Edible flowers in the long thin ice cubes show the attention to detail of our award-winning bartenders. Perhaps my favorite dish of the day was the Seafood Bouillabaisse (RM26). 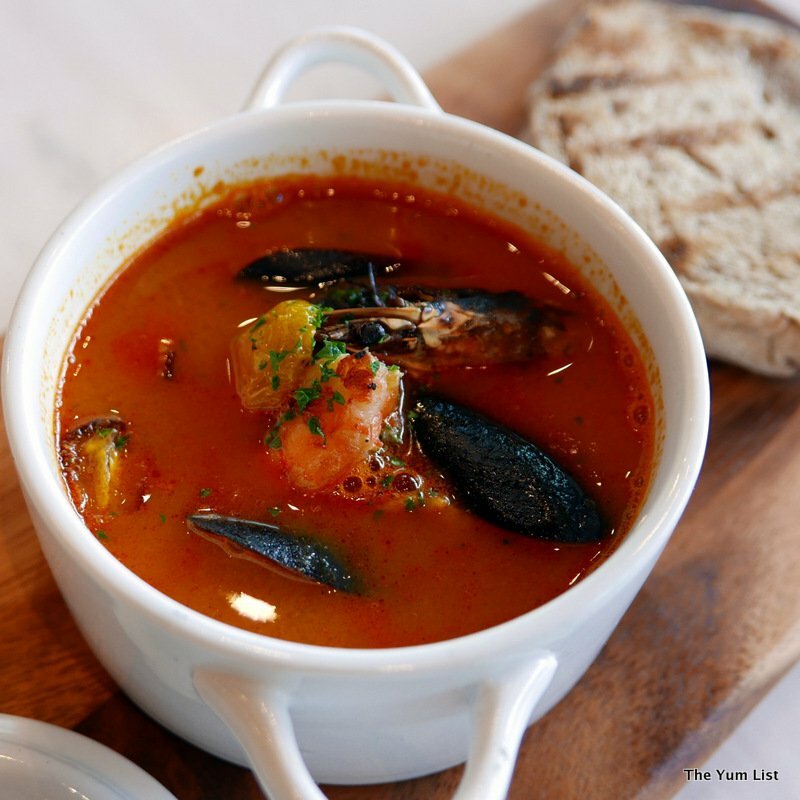 Charred prawns, fresh fish, and mussels swim in fish stock made from both shells and seafood for extra sweetness. With undertones of tomato, onion and celery, the broth is rich in seafood flavor and is a meal almost by itself. 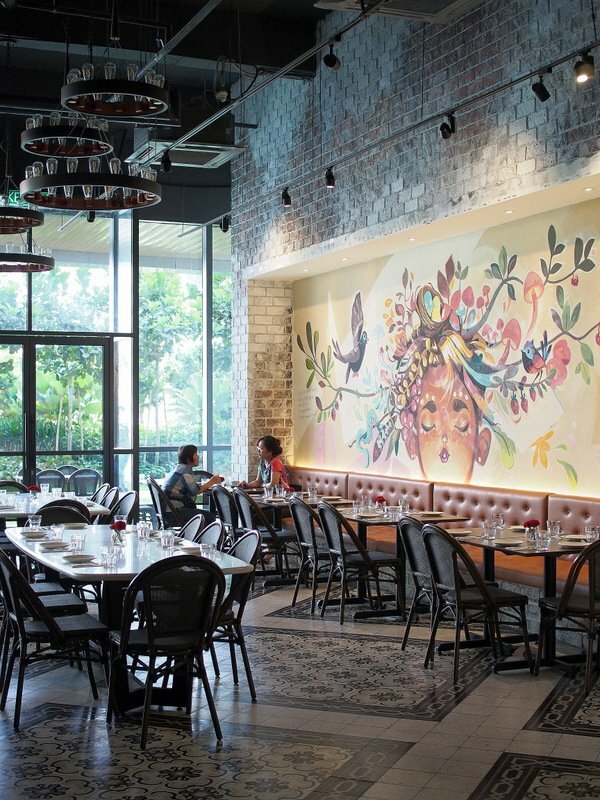 To pair with the seafood starters, Bonvivant recommends Tea Empress (RM25). Roasted Japanese green tea is shaken and strained with Belvedere vodka, chosen for its slightly peppery undertones. With a little lemon and a little Himalayan salt, this is an excellent complement to the soup. No respectable campfire would be caught dead without a marshmallow roast, and the flames at Bonfire are no exception. The Big Bonfire (RM26) lights marshmallow meringue to a smoldering heat and provides chocolate shortbread and gingerbread for dipping. 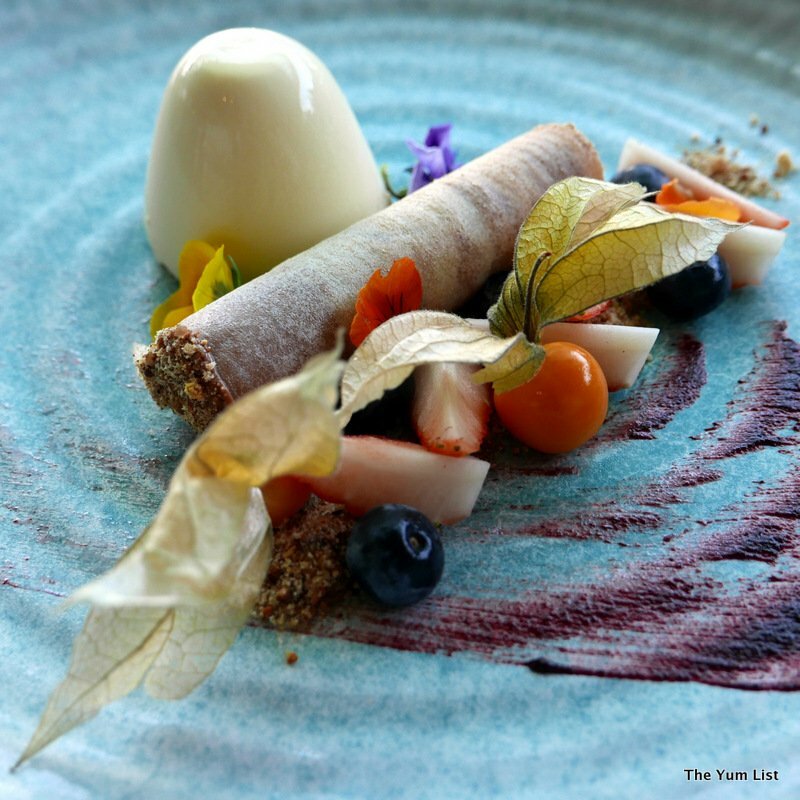 With sides of cocoa soil, vanilla anglaise and red berry coulis, this is a S’more with style. 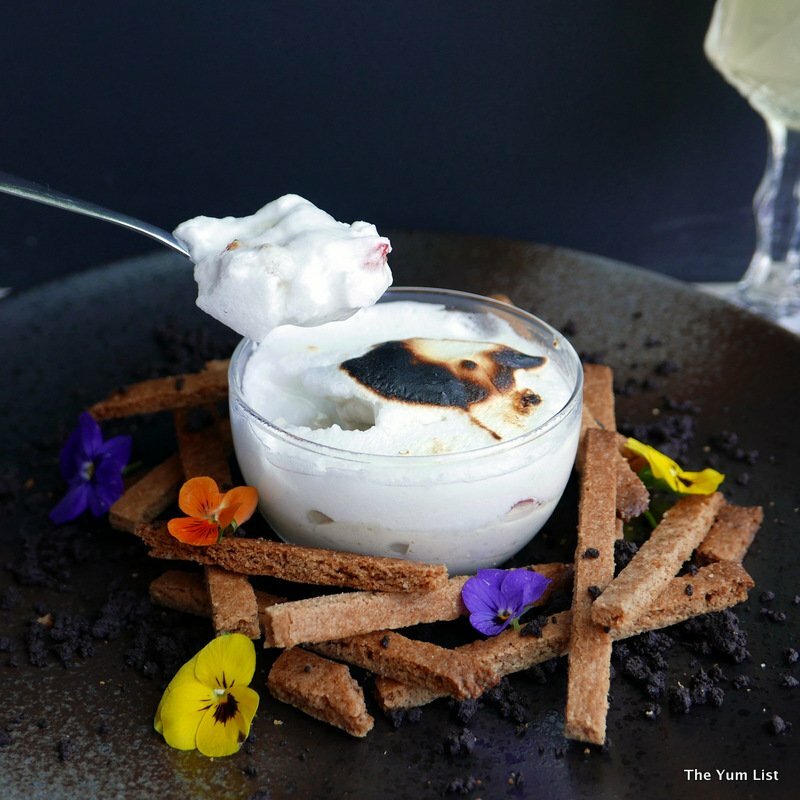 On the lighter side, sweet tooths will enjoy the Vanilla Pannacotta (RM19), a creamy mold served with a Nutella cigar, red berry coulis and pink guava puree. Those who prefer a liquid dessert will appreciate Bonfire’s nightcap, the 2016 Monin Malaysia Champion called Heart of Tiffin (RM32). 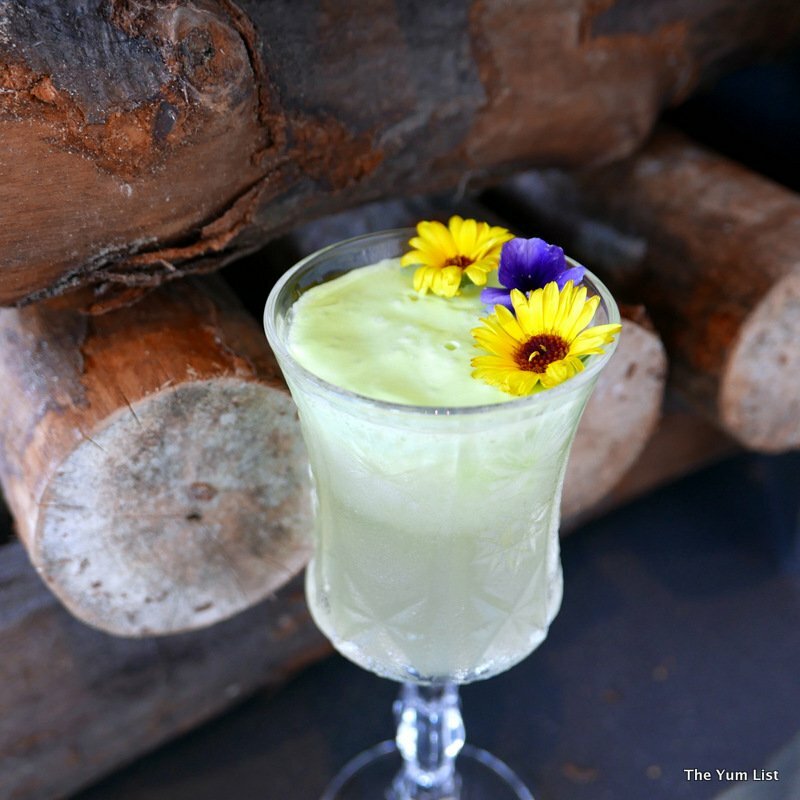 Designed and engineered by Head Bartender Demi, Cana Brava aged rum is blended and layered with sour sop and lime juice, coconut milk, and pandan foam. A bit of macaroon syrup secures a nutty but refreshing aftertaste. Not everyone enjoys campfires and the great outdoors as much as my brother, but who doesn’t like a gathering of friends where the best of food, drinks and fire are combined? 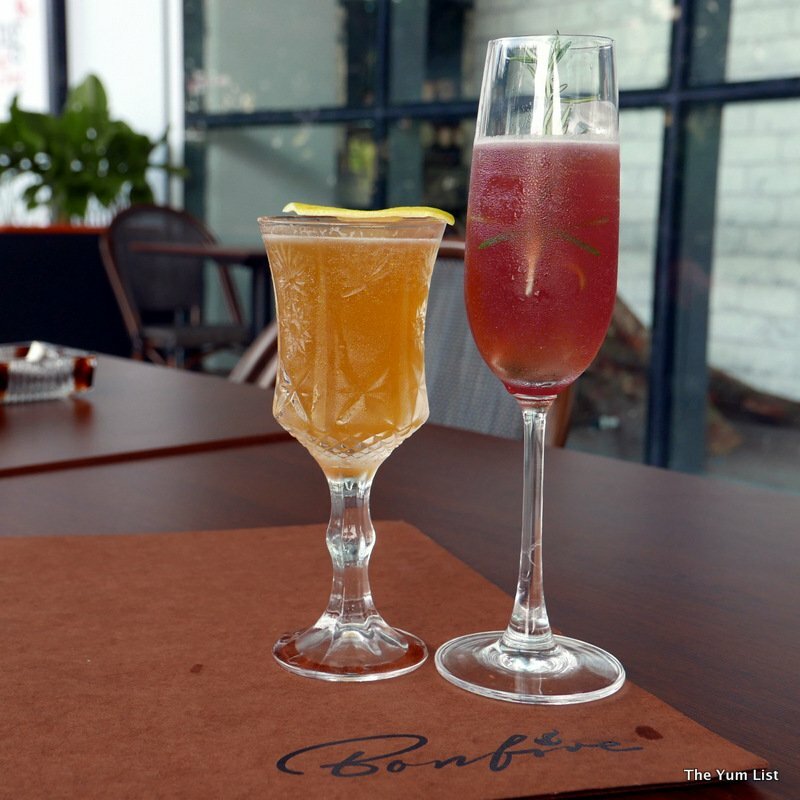 For city-dwellers like us, Bonfire Restaurant and Bonvivant Bar may offer the closest thing to a true bonfire available in KL. Reason to visit: Dreamy Seafood Bouillabaisse and BBQ platters to share alongside award-winning cocktail pairings. Love the look of the chicken, grilled to perfection. Bon fires are sure fun. This looks interesting, a good reason to go and check out this new mall! That bonfire feast sure looks enticing. I would love to try the baked watermelon and all the yummy looking desserts. Hello, the platters, salad and drinks all look delicious. What a fabulous place, I like the mural on the wall too. Great review. 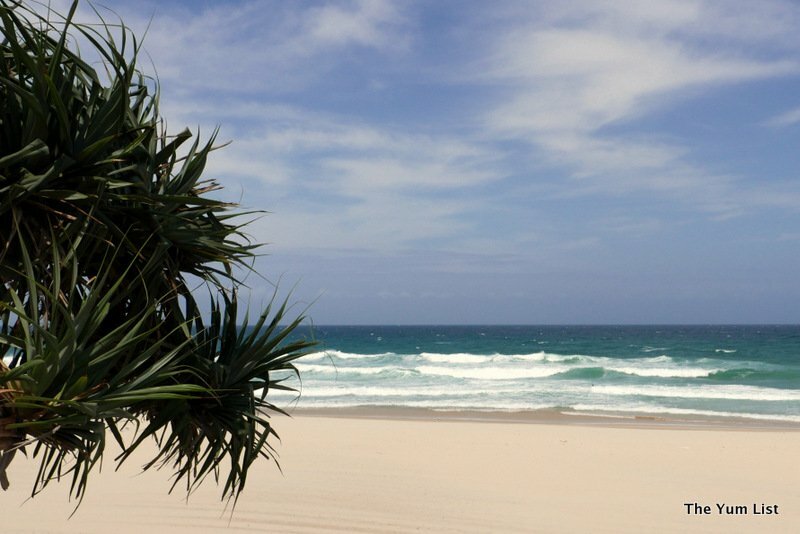 Happy Monday, enjoy your new week ahead! I haven’t tried cooking it myself either, but am inspired to after this dish. Everything is so nicely presented.